Only a short 5 minutes’ drive from Montreuil-sur-Mer and 20 minutes from Le Touquet, this . . . Massive! Big house, large garden, huge potential! Only 40 minutes from Calais on the motorway, this immense house keeps on giving! In a lovely . 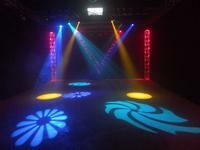 . .
Great opportunity for a Sound and lighting store business. In the heart of Hauts de France, one of the largest sound and lighting stores in France, . . . Stunning converted 3 bed farm house and its large outbuildings with huge potential for a successful gîte business. Rare specs for this superb property! Its location first of all. In the heart of a quiet . . . In sought after Berck Plage. Recently renovated family home and its guest house. An ideal opportunity for anybody wishing to do seasonal rentals. Only one hour from Calais! Beautiful detached family home on a beautiful plot ideally . . . It its beautiful garden, this six bedroom mansion offers all the space you may need. Its . . . Spectacular 5 bedroom family home with private conference room / meeting room set in a sought after village in the Pas de Calais / Somme borders. The village of Bonnières lies between the market towns of Doullens (14km), Auxi le Chateau . . . This magnificent home has been fully renovated over the past ten years by the current owners. . . . This 1952 house was purchased in 2011 by an architect who renovated and remodelled it . . . The very enjoyable town of Merlimont is situated on the Côte d’Opale and is very much sought . . . Unique opportunity! Main house and additional 5 bedroom B&B. Restaurant with professional kitchen. 35km from Le Touquet and 18km from Montreuil-Sur-Mer, in the Embryenne Valley, come and . . . Stunning 6 bedroom home with sauna and pool. Original parquet floors. Marble mantel pieces. High ceilings with renovated cornices. Grand . . .
Only a few minutes from Le Touquet and all the activities it offers and close to . . .
Modern, 4 bedroom family home set in 2 acres of grounds close to Calais. Architect designed modern family home with large grounds, garage, workshop and salle de . . . Magnificent fairy-tale chateau set in a popular village in the Seven Valleys close to Montreuil sur Mer. Located 2 hours 30 minutes from Paris, 1 hour 30 minutes from Lille, 20 minutes from Le . . . The perfect home in the perfect location! This large detached house is unique: The house . . . The resort town of Stella Plage lies between Le Touquet and Berck sur Mer on the spectacular . . . The pretty village of Capelle Fermont lies between the main towns of St Pol sur Ternoise and . . .
Fabulous home built in 1980 set just outside the village. Not overlooked and views over the . . . The village of Hermelinghen is in the beautiful area of the "Parc Naturel des Deux Caps et . . . 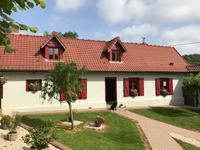 Totally renovated longère and gîte nestling in beautiful countryside. Everything you need for a new way of life! This is a stunning longère and gîte which will just pull at your heart. From its beautifully . . . 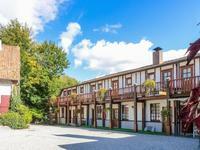 The village of Capelle les Hesdin lies between the tourist centres of Creçy and Azincourt and . . . The house, set in 2811 square metres, is on mains drainage, faces north/north . . .
Modern 4 bedroom home with existing gite business in the 7 Valleys close to the Tunnel and the Channel Ports. Set in the Bras de Bronne, the most beautiful of the Seven Valleys, this gorgeous home offers . . . Stunning Maison de Maitre complete with former brewery, wine shop and lodge house in the picturesque Vallée de l'Aa just 48kms from Calais. 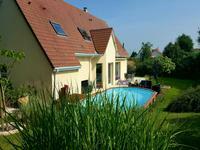 This beautiful property comprises the main house, a classic "Maison de Maitre, with a lawned . . .
Our professional team at Leggett Immobilier are all bilingual, fully trained and registered, having between them a long and diverse collective experience in the French property market.